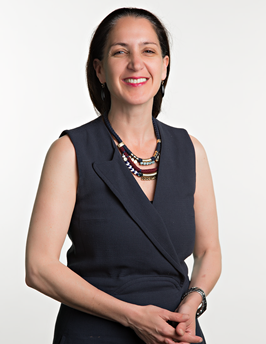 Liza Landsman is a venture partner with New Enterprise Associates, Inc., where she focuses on consumer technology and commerce. Prior to this role, Landsman was President of Jet.com, an e-commerce retailer owned by Walmart. There she led the firm’s management committee and was a member of Walmart’s U.S. eCommerce leadership team. Previously, she was Jet’s chief customer officer and was responsible for driving growth by engaging potential members through marketing, advertising, smart use of data and compelling customer experiences. Before joining Jet.com, Landsman was chief marketing officer and a member of the Executive Committee of E*TRADE Financial, where she was responsible for the firm’s marketing and advertising, as well as the company’s insights and analytical functions, including the evolution of its consumer-facing brand. Previously, Landsman was the global head of Digital at BlackRock, responsible for firmwide digital marketing strategy, including social media, websites and mobile applications. Earlier in her career, Landsman held several senior management positions at Citigroup, where she focused primarily on driving engagement across customer channels, especially Internet and mobile platforms. She also held various leadership roles at IBM’s e-commerce and personal systems group units, and at Flooz.com, a startup in the payments space. Landsman also led the New Media Practice at Writers House Inc.
Landsman also serves on the board of directors of GO! Project, a New York City-based foundation providing education opportunities for children in need, and the Veritiv Corporation.